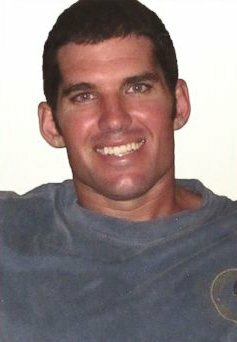 RIP Navy Seal William Ryan Owens....photo above, along with the innocent civilians in Yemen, some of them children. Shared article over social media to raise and spread awareness. This is an indication of just how much T-Rump is out of touch with reality. Let us keep demonstrating, signing petitions, and raising hell in general. "Without Sufficient Intelligence" - It should be tattooed on his forehead!!! "The strike was initially planned during the final days of President Barack Obama’s administration, but because the military wanted to conduct the raid during a moonless night, Obama felt the need to postpone it until after his term had ended. Because it is unclear what was said to President Trump before he signed off on the raid, it is difficult to determine his own level of responsibility for the raid’s failure." True Arild but as the Republicans feel Obama did nothing correct why would they depend upon anything that came out of that Administration. I since learned that the Administration under Obama also shelved it for more than the moon. It bothers me that, as far as I know, all Trump depended upon was some information from a previous Administration that was back in Nov, things change rapidly many times, that all Trump had was Michael Flynn, a blogger in Bannon, and his 25 year old son in law. I would not have wanted my son sent in by their decision making. Thanks for highlighting this area of concern by posting Dandelion. Seems to align with the news of mental health experts expressing concern about Trump and Nancy Pelosi suggesting a mental health evaluation. Demand that Congress stop increasing our already obscene defense budget! Trump himself has insufficient intelligence. Since the transcript of that night’s show isn’t available yet, I had to transcribe this myself from a YouTube video of that show. You’re welcome. Thanks very much Dianna for taking that time to do that and Freya for the petition of which I signed. I suppose Drumpf and his ilk will say this was a success in the long run, even though to the rest of us it looks more like a disaster. Too many questions, not enough answers. Thanks for posting, Dandelion. Of course he did, remember he claims to be smarter and knows more than the Generals and the intelligence agencies. There are going to be a lot more dead service members and innocent civilians because of this man. He needs to be stopped before he gets us all killed!!! No surprise there! This man has no filters and, as Kathryn says...HE NEEDS TO BE STOPPED BEFORE HE GETS US ALL KILLED! Okay, but Obama killed one ours, the day before he was to be released. As I read the comments and retorts as well as this so called "news" one point stands out blatantly. Y'all say things like I found out, I know and other words indicating some kind of inside knowledge which you surely do not have. In other words this is propaganda issued on unreliable source material and compounded by a grandiose pretense of knowledge. Give it a rest and let's get back to real reporting with provable facts please. RIP, William Ryan Owen. Thank you for sharing, Dandelion. Half cocked = half assed and so it seems Trump runs the country like his businesses. Trumps first weeks in office have distinguished themselves by half assed compounded by half assed, guided by the thoughtless, insensitive, ill prepared and incompetent. So, I guess we wait for him to push the button. Whoops, is that what that button is for? Who needs (fill in the blank) anyway? I suppose we should be grateful he hasn't fumbled that one yet. No problem Sean Spencer will fault the media or Obama for having left the "football" lying around anyway. Ego fueled, power hungry, insecure simpletons are the hallmarks in the legacy of the first weeks of 45. Do we really deserve this? The raid had actually been planned by Obama - Trump however went forth without sufficient intelligence, ground support, or adequate backup preparation it was a snap descision which resulted in 1 dead Navy seal and a massacre. If anything this gives an insight into how militaristic he is, his grandfather avoided national service, his father profiteered during the Second world war whilst Donald managed to avoid Vietnam due to bone spurs on his foot, which one he can't remember, anyway he got student deferals too. So if anything Bush managed to get over 4000 soldiers killed in two wars, whilst I think Trump is gearing up for a higher score particularly given he makes snap judgements without advice. What your alternative facts John. It's a fact that this Navy seal died and others were injured. It's a fact that this raid did not go well at all and it might of been wise to have waited until the new Administration was fully intact to even try something like this. Was it even needed? Last I knew Yemen wasn't threatening us. Margie would you like to elaborate? One of ours? Who is ours? John G., what do you call a provable fact? In terms of the actual submission by Dandelion, Tony Blair followed Bush into a War in Iraq, based on completely flimsy evidence provided by the intelligence services (of the time), that has since been proven to be inaccurate. Saddam Hussein DIDN'T have Weapons of Mass Destruction. That was Weapons of Mass Delusion. George W. Bush subsequently claimed God had told him to invade Iraq. How do you prove that? Osama Bin Laden, the guy who was the original Public Enemy No. 1 used to work for the U.S.A's CIA. It's also a provable fact that if you go to War on a country, intending to remove people from power, essentially to claim that countries valuable resources (the REAL reason Wars are conducted), that there WILL BE reprisals. The ONLY threat to world peace currently, is the U.S.A arrogantly strutting around in the guise of the Military Industrial Complex, and intelligence agencies who have been snooping on YOU for decades. Seems to me most of his actions are carried out without sufficient intelligence! Dandelion, A couple were taken hostage in Yemen. The wife was freed and heard from the Gift of the Givers that he was to be released. The day before he was released, Obamas troops went in and this poor schoolteacher was shot to death. He was from Bloemfontein in South Africa. He was innocent. Thanks for that post, Margie. The innocent often suffer far more than those perpetuating war, can ever understand. Dandelion, his name was Pierre Korkie. Thank you Margie for coming back and offering the additional information. It is important that information is presented. We may not be able to bring Pierre Korkie back, but for others to be witness to his name and his story is important. You give him honor by doing so, your make him real to others who may never had heard of him, and you add to the many raindrops of voices to have his voice and his families voice be heard. Only by speaking of them and giving their name can people know, and in knowing being witness, and in being witness movers to try to prevent this from happening again. This is only one link to some information about Pierre Korkie. He was a teacher, to me one of the most noblest positions. The link below has his a photo of his wife, children and himself. Thank goodness for the Gift of Givers that was able to get his wife released so the children were not without both parents. Agree with all that. . .
RIP William Owens . . . . . . .
Trump is a knee-jerk kind of guy. He isn't a real planner. He doesn't have a clue about politics or military actions. He probably thought he needed an anti-terrorist, military 'win' to bolster his popularity which seems to decline more each day. The guy is completely unsuited to be president.